Hey everyone! It's been and will continue to be a crazy crazy week for me and my fiancé because our wedding is coming up in less than 2 months! :) I'm so excited but at the same time, I would love to get over the stress. But that's where crafting comes in right? Keeps me calm and relax. So this week, it's time for another Addicted to Stamps Challenge. This week's challenge is called CAS - Clean and Simple. Many people have their own definition of clean and simple. I think that's totally great! For me, it's something with a fair amount of clean white space. But it's not necessarily white. I would be a clean amount of kraft space, whatever colour you want. 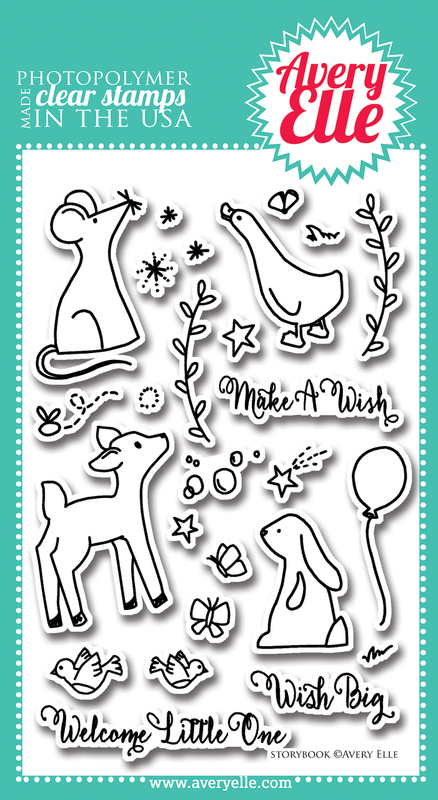 I'm currently madly in love with Avery Elle's Storybook stamp set. If you look at the stamp set, the leaves are in a curved wreath-like shape but I've straighten it to make it into some grasses. Another way to stretch your stamps! I'm not sure if you could see it but I've added some orange and purple stickles to the tiny butterflies for added sparkles. 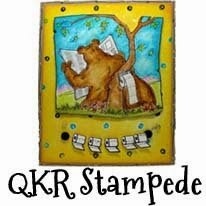 This week we are being sponsored by our kind sponsor, QKR Stampede! The winner will receive 3 digital stamps and of course, you'll be showcased on the challenge blog too. So, it's your turn to make a CAS card, head over to Addicted to Stamps Challenge today! Oh this is so cute! I do like the little deer and the vellum wrap with the sentiment. Lovely. Love this card! so adorable. this is such a sweet scene :) love the vellum too ! Beautiful CAS design, and I love the vellum...it adds such a lovely touch to your sweet card, Marina! This is simply adorable, Marina! Love the sweet little deer. Clever work with stamps and vellum!